Fluke 726 calibrator is a precision multifunction process calibrator built by professionals to match the international industrial standard. It is widely used in the industry with unsurpassed accuracy, broad workload coverage, and calibration power. 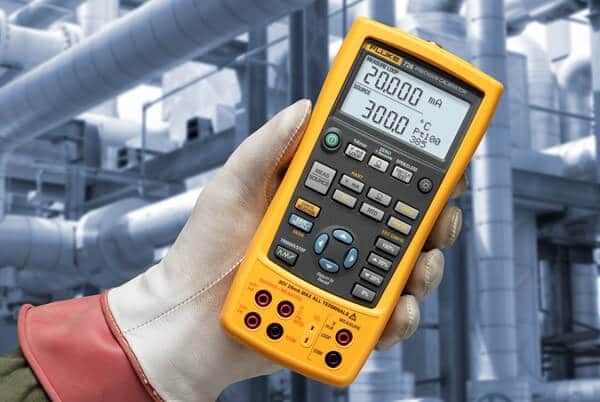 Fluke 726 is an ideal choice for every technician because it can calibrate almost anything and measures & sources almost all process parameters. Without the help of a calculator, it can interpret results and store measurement data for future analysis. In our last tutorials, we explained about Fluke 6270A calibrator, Fluke 721Ex pressure calibrator, Fluke 754 in detail. In this article, we are going to explain Fluke 726 calibrator features, uncertainty, accessories etc in detail. As I have told in the first paragraph that 726 calibrator is a Multi-functional Process calibrator. Now you might think what is a “Process Calibrator”. A Process calibrators are those calibrators which are extensively used by instrument technicians working in the process industries as perfect troubleshooting tools.You can use this calibrator in various range and technical specifications as per the exact requirement.To ensure excellent quality and effective usage, the entire range is properly checked on well-defined parameters. Fluke 726 process calibrator offers best accuracy and performance due to its interesting features. Here we are going to explain you some features that make it the first choice for all those who work in this field. With auto step and auto ramp features, it performs fast linearity tests. Simultaneously it views process signals with two separate channels i.e. measure and source. It stores frequently used test setups for later use. It has memory storage for up to 8 calibration results. From the field, it returns stored calibration data for later analysis. It can calibrate results without a calculator and has transmitter error% calculation. It measures or source pressure* using any of 29 Fluke 700Pxx Pressure Modules. To test sensors, it measures volts, mA, RTDs, thermocouples, frequency, and resistance. To capture the set, reset and a dead band of a switch it performs integrated pressure switch test. To calibrate transmitters, it measures transmitters Source/simulates volts, mA, thermocouples, RTDs, frequency, and pressure. New voltage input protection design for improved reliability. For enhanced flowmeter testing, it uses Frequency totalizer and frequency pulse train source mode. HART mode inserts a 250-ohm resistor in mA measure and source for compatibility with HART instrumentation. For enhanced temperature measurement, it uses Custom RTD curves which add calibration constants for certified RTD probes. It has an accuracy of 0.01%. for more precise measurement and calibration source performance. It has Source mA with simultaneous pressure measurement to conduct valve and I/P tests. Fluke 726 Calibrator can measure temperature with most common resistance temperature detectors (RTD’s). It allows you to enter custom RTD constants so you can measure any RTD for which you have the constants. This calibrator measures data with 0.01° resolutions when we couple it with a characterized RTD. To define the physical parameters of standard RTD’s, international standards, it defines equation and constants used to convert resistance readings to temperature. As we know, the relationship between temperature and resistance is approximately linear and if you want to convert resistance to temperature or vice versa you can convert it with the help of given equation below. R0 = Resistance at 0 °C. a = constant slope that describes resistance change per degree C.
Rt = Resistance at temperature t, in degrees C.
Using this equation you got good results especially at 0°C and 100 °C. To get more precision you can extend the range of RTD with IEC and ASTM standards which specify a more complex polynomial that fine-tunes the resistance-temperature relationship. 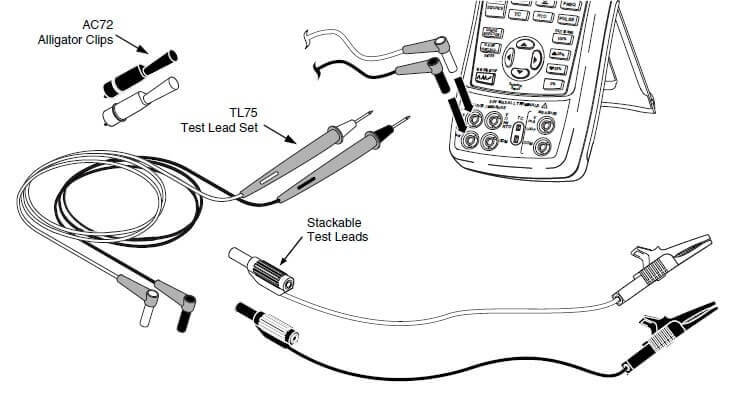 How to calculate the combined uncertainty of fluke 726 calibrator and transducer? As we know, the uncertainty of any meter and probe are independent of each other, so we simply adding these uncertainties and take the square root of the sum of the squares. Fluke 726 uncertainty is expressed as a percentage of reading with a noise floor that is determined by range. For example, let calculate uncertainty for the Fluke 726 in °C at 100 °C. Putting the values of the uncertainty of meter and probes like RTD into this equation you can easily calculate the uncertainty of the system. When we order Fluke 726 multifunction calibrator we get extra components within its box. We are listing those components here so that you will not miss any component. Have a look at it. If anything is missing or damaged inside your box as listed above then immediately contact the place of purchase immediately. For your comfort, we are also providing you images of all these components below. Hope you all like this article.For any suggestions please comment below. We always appreciate your suggestions.